DR UCHE OGAH FLOORS CHIEF IKECHI EMENIKE AGAIN, BUT THIS TIME AT THE COURT OF APPEAL. In the Ruling, court had directed INEC to recognize Chief Emenike as the candidate of APC in Abia for the 2019 general election taking place sometimes in March. Recall that both APC and Dr Uche Ogah appealed separately against the said judgement. The court at the last weekend fixed toddy for the hearing of the appeal of APC while that of Dr Uche Ogah is slated for tomorrow(which apparently may be disrupted due to the two days court boycott called by the Nigerian Bar Association as a result of the suspension of the Chief of Nigeria, Hon Justice Walter Onnoghen). Two of the major grounds of appeal of appeal of APC were denial of fair hearing and jurisdiction. Their argument was they were not allowed by the court to file in their defence as allowed by the rules of court and that the court erroneously dismissed their preliminary objection to the suit. On the issue of jurisdiction, APC argued that the purported election of Chief Emenike took place in Abia State and they wondered why Chief Emenike went on forum shopping to Abuja High Court for redress of his alleged grievance. The Court of Appeal in their considered judgement unanimously upheld the appeal of the ruling party which had conducted direct primaries in Abia State during which Dr Uche Ogah emerged as their rightful candidate. They had since submitted the name of Dr Uche Ogah to INEC which has accepted it waiting for the final publication on the 31st of January, 2019. With this judgement the fate of Chief Emenike is finally sealed in his quest to be the flag bearer of APC in Abia State for the 2019 general election. The coast for Dr Uche Ogah’s emergence as the next governor of Abia remains clear and clearer by the day. 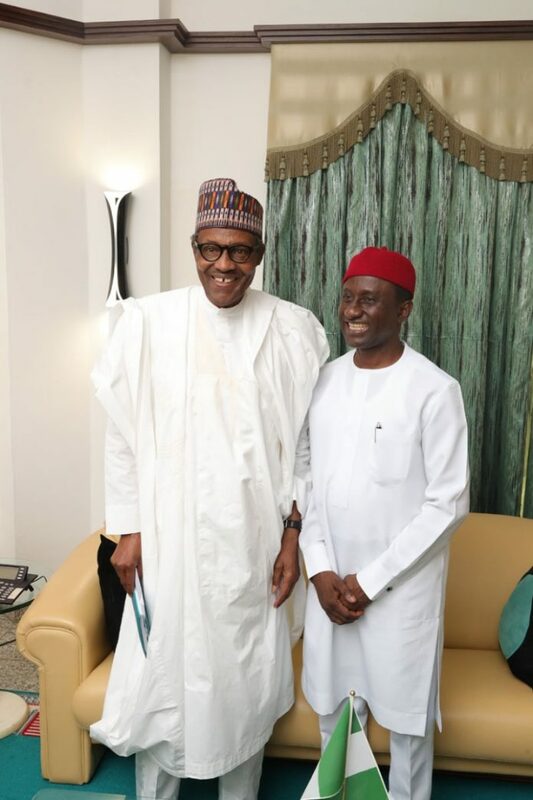 In a telephone conversation with our correspondent Dr Ogah thanked God for the well deserved victory at the court of appeal, he called on all Abians to troop out tomorrow to receive the leadership of the party that will be at Aba stadium tomorrow to flag off the presidential campaign of Mr President, President Mohammadu Buhari. In the same vein the APC gubernatorial flag bearer enjoined Chief Emenike to close ranks and work with the party in the State to liberate Abia from the scavengers and looters that have kept Abia terribly backwards for years.